Didn't they see King Kong? Well, well. 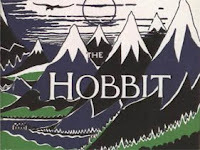 Further Hobbit movie news: according to the MTV Movies Blog, Peter Jackson's two-part film adaptation of the novel is going to cost a whopping $500 million on top of $100 million in legal fees, making it the most expensive film project ever. As the post's author points out, Jackson's lower-budget projects have actually been far more profitable than his higher-budget films, so I wonder who authorized these seemingly unlimited funds. Has the global recession skipped New Zealand? Two-part film adaptation? Of The Hobbit? 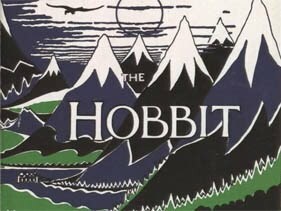 The book that is shorter than any of the three in The Lord of The Rings trilogy? I didn't care much for the junk added to The Two Towers and The Return of The King was at least forty minutes too long. Do I want to see this? This feels to me like splitting the last Harry Potter book into two films: you could argue that the text would support two movies, but that's true of several of the earlier HP books, too. I think they just want twice the ticket money... and if they're talking 3D ticket prices, that's gonna be a lot of cash.